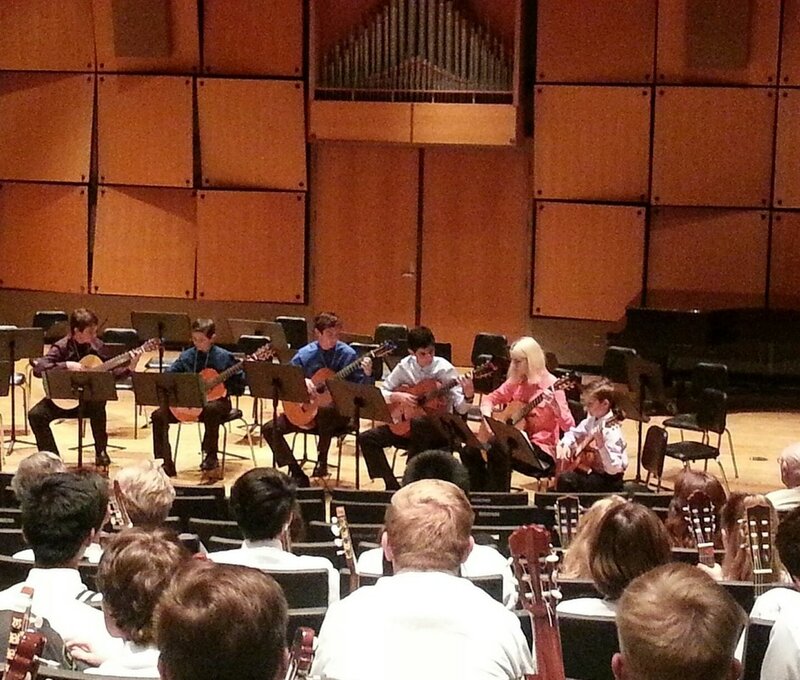 Our guitar students thrilled the audience at Loyola Marymount University's Guitar Festival Saturday March 30. 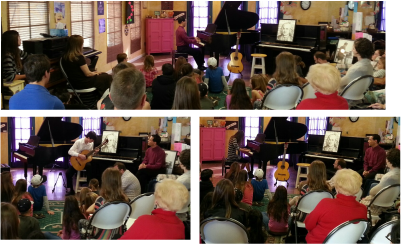 They performed, they were coached by performing artist Connie Sheu, and watched a guitar concert. 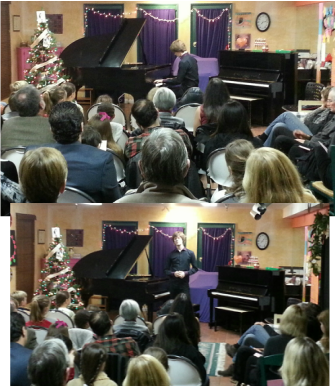 Thank you to all the fine young pianists who recited and played in the Afternoon of Poetry & Music recital! Our 13th Annual Movie Music Night competition. An afternoon of classical and Flamenco guitar music and Dance. The MINI MUFFIN CONCERT series is to provide “short and sweet” concerts for young audiences by making concert artistry accessible in price and proximity for families with young children. Children have a beautiful capacity to understand intricate music, especially given a little explanation. We are so proud of these students: Micah, Bo, Harper, Ashlyn. 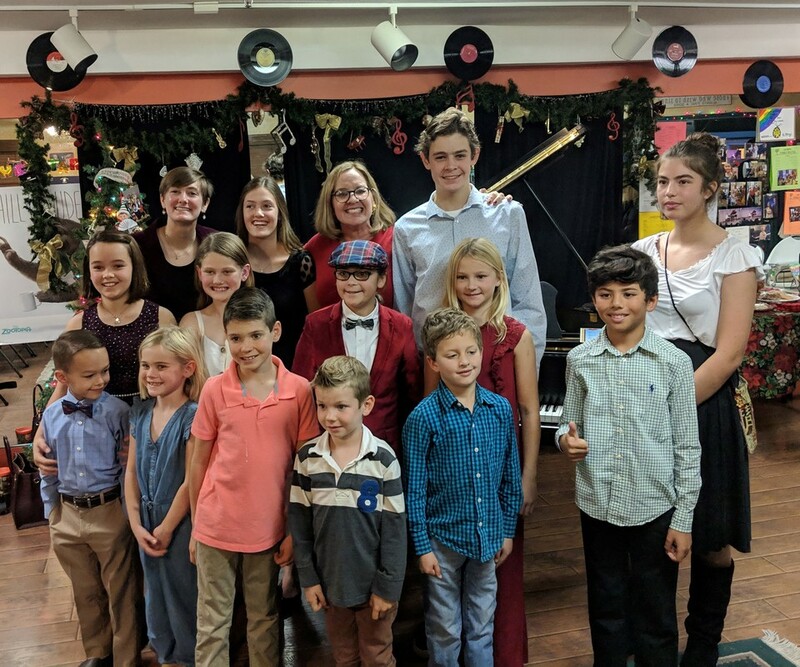 After achieving scores of 90% and above on their Royal Conservatory adjudications in 2018, they were invited to play in the Concert of Excellence at USC THORNTON SCHOOL OF MUSIC Saturday January 12....and they played their hearts out!! 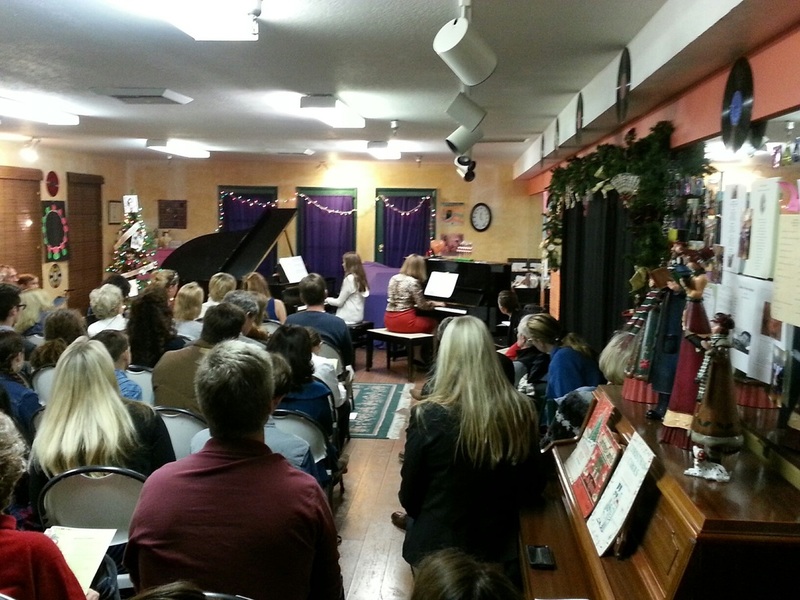 Congratulations to all of our students who braved the stage and played in our four Holiday Recitals. Job well done! Our guitar ensemble performed fabulously at the Solvang Tree Lighting Event in front of a large crowd out door. Congratulation to Sherwin, Brett, Josh and Will. Congratulations to guitar students: Brett, Josh and Will for passing Royal Conservatory exams!! We are excited to announce that SIMH STUDIO is now offering MUSIC TOGETHER TM classes, for children ages birth to 5 years. Fall classes start SEPTEMBER 28th! Please visit our MUSIC TOGETHER TM page for registration and more information. 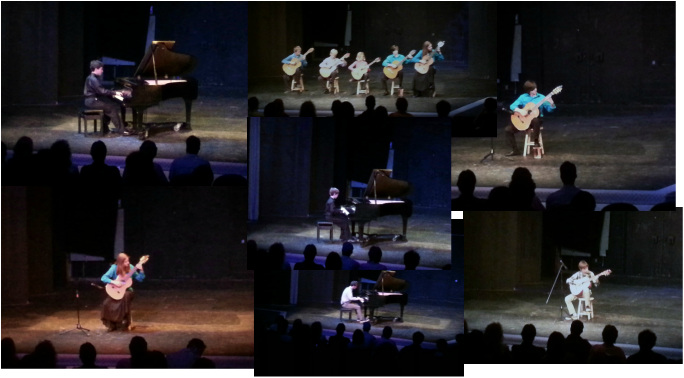 Congratulations to our teen piano and guitar students for a great Grand Finale recital performances! Students played solo and ensemble music very well. Song In My Heart students, once again, did a fabulous performance at Applause Showcase 2018 program last Saturday! 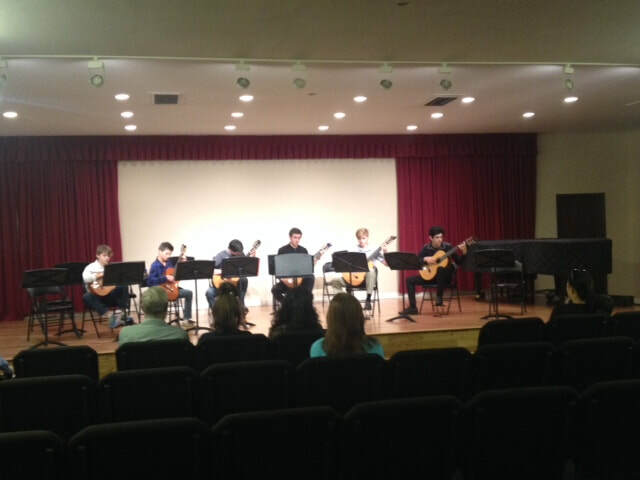 Saturday March 24, 2018, our student guitar ensemble performed fabulously during the guitar festival at Loyola Marymount University in LA. They were coached by recording artist Dr. Martha Master and attended several concerts. Our alum Emily Jensen was there as LMU staff member as she is working on her double major guitar and biology at LMU. 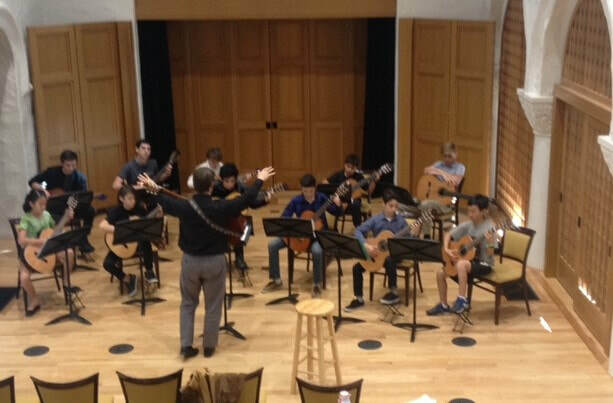 Song In My Heart's student guitar ensemble visited Pasadena Conservatory of Music Saturday February 3 in Pasadena. After 2 joined rehearsals, a rep. class and 2 performances we returned home fulfilled with music and friendship. The weekend of Oct. 21 we hosted Guitar students of the Pasadena Conservatory of Music. They rehearsed with our students several ensemble pieces and everybody went pizza shack and played for tip on Saturday night. They had a blast. Super Mario, Flintstones, Villa-Lobos, Bach...& Pizza. Sunday afternoon, Guitar students of the Pasadena Conservatory of Music and Song In My heart studio performed several solo and ensemble pieces for the audience. They were fabulous! Congratulations to Josiah for playing beautifully for the legend of classical guitar Christopher Parkening today(Sept. 23) in a masterclass at La Guitara Guitar Festival. 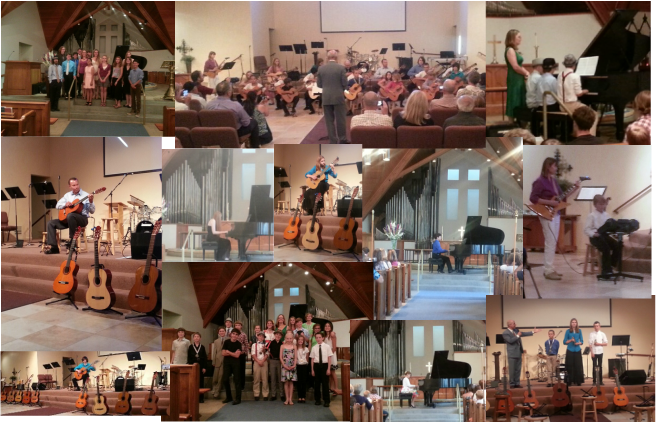 The International Guitar Festival was a great success! 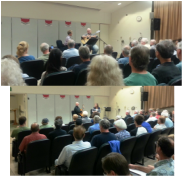 People of SB, Solvang and nearby cities participated in our International Guitar Festival this past weekend. 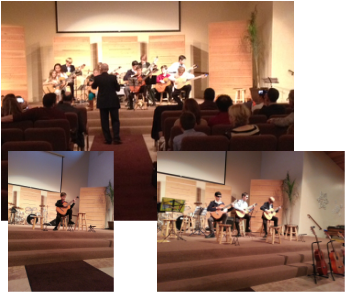 Guitarists from Germany, Venezuela, LA, SB & SYV played, taught, performed & had fun mingling. In addition to 38+ talented and well practiced young guitarist, there were five internationally recognized guitar educators participating in the activities. 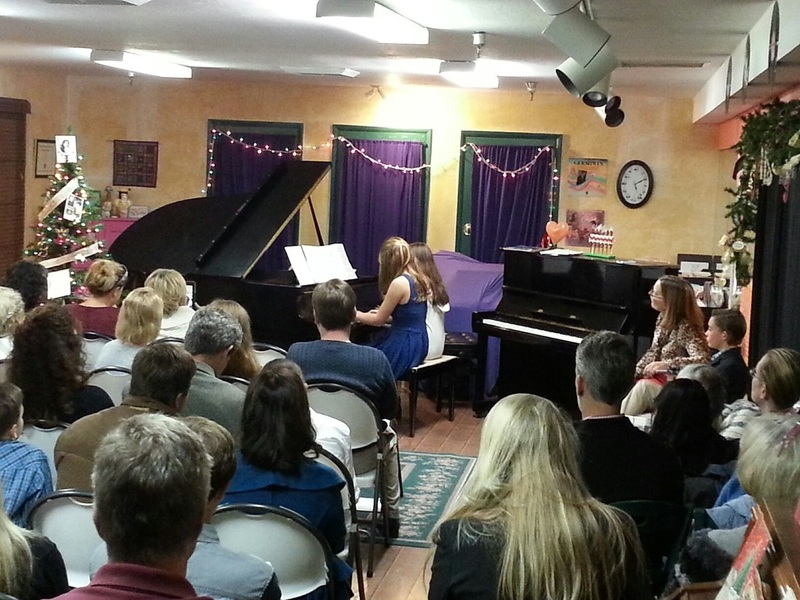 Students of Song in My Heart Studio performed solo and ensemble pieces as par of their Grand Finale Recitals. Los Angeles, LMU 2017, a great performance! On Saturday March 25, six young guitar students of our studio, Emily, Carson, Josh, Sherwin, Brett & Aras performed three pieces at the Loyola Marymount University’s annual Young Artist Showcase Guitar festival. In addition to their performance, they attended a guitar technique workshop, received coaching from LMU guitar faculty member and attended a concert. Congratulations to all of our students for a job well done! 12 Students from Song In My Heart Students performed fabulously at 2016 APPLAUSE Showcase this year. Congratulations to all of them. 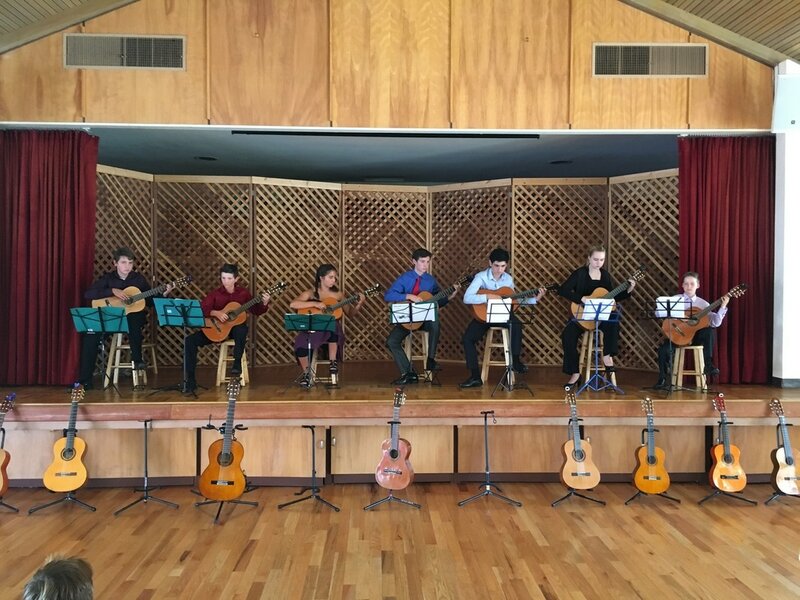 On Saturday March 19, six young guitar students from Song In My Heart Studio, (9 to 17) played up a storm in Los Angeles at the Loyola Marymount University’s annual Young Artist Showcase Guitar festival. Congratulation to Paige, Hazel, Josh, Sherwin, Carson and Emily. The first two weekend of December, our students performed solo, ensemble and orchestral pieces in multiple recitals through out the S.Y. Valley. Our students from Ventura county, Montecito, Santa Barbara, Goleta, Lompoc, Santa Maria and all over S.Y. Valley dazzled the audiences of several hundreds. Most students played a repertoire piece followed by a holiday tune. During the guitar recital on Sunday December 13 at Church of the Cross Road in addition to solo songs, students played several ensemble pieces including two songs with the guitar orchestra. MINI MUFFIN CONCERT with a Russian pianist! Arsentiy Kharitonov, a prize winner of international competitions, performed “kid-friendly” pieces by Scriabin, Tchaikovsky, Rachmaninoff and his own composition on December 11. Chopin. Kharitonov has published multiple CDs by Toccata Classics and will perform at Carnegie Hall in NYduring the first half of 2016. The Royal Conservatory program of music study and assessment is offered to the guitar students of Song In My Heart Studio as of this fall. The Royal Conservatory program of music study and assessment is considered the preeminent music education system in many countries around the world. This program provides an effectively sequenced system of music study from beginner to advanced levels, and is recognized by international music schools, universities and colleges, orchestras, and ensembles. We are happy to have this program available for our students. Formal assessment is an important part of the learning process. An Internationally recognized adjudicatotion and certification help motivate students and instill a sense of accomplishment. Fantastic Grand recitals. Congratulations to all students! 8 Students from Song In My Heart Students performed fabulously at 2015 APPLAUSE Showcase this year. Congratulations to all of them. Our guitar students performed at American Cancer Society Relay For Life event at Dunn School. Los Angeles, LMU 2015, a great performance! On Saturday March 21, three young guitar students of our studio, Josiah, Carson & Josh performed at the Loyola Marymount University’s annual Young Artist Showcase Guitar festival. In addition to their performance, they attended a guitar technique workshop, received coaching from LMU guitar faculty member and attended a concert. Dads do double duty at our M&M ( Men & Music) and 3 D (Dads Daughters & Desserts) weekend. Friday night, the studio boys gave a concert for their dads only ( no Moms allowed! ). Saturday and Sunday found the studio girls serenading their dads on piano and guitar ( once again... No Moms allowed!). Saturday January 24, we had our new MINI MUFFIN CONCERT series with a performance by French-Swiss-Israeli pianist, PASCAL SALOMON. Salomon, performed “kid-friendly” pieces by Bach, Schumann and Chopin. Two SIMH students “opened” the concert: Josiah Frias on classical guitar playing Pachelbel’s Canon in D, and Lita Wright on piano, playing Chopin’s Waltz in A Minor. The MINI MUFFIN CONCERT series is to provide “short and sweet” concerts for young audiences by making concert artistry accessible in price and proximity for families with young children. Children have a beautiful capacity to understand intricate music, especially given a little explanation. Many questions were asked and overall there were many interactions between the audience and the artist. Visit calendar for March concert. The weekend of December 12-14, our students performed solo, ensemble and orchestral pieces in multiple recitals through out the S.Y. Valley. Our students from Ventura county, Montecito, Santa Barbara, Goleta, Lompoc and all over S.Y. Valley dazzled the audiences of several hundreds. 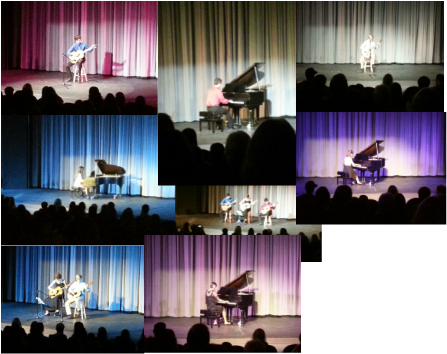 Guitar, Piano, Harp and Flute were played in five separate recitals. Most students played a repertoire piece followed by a holiday tune. 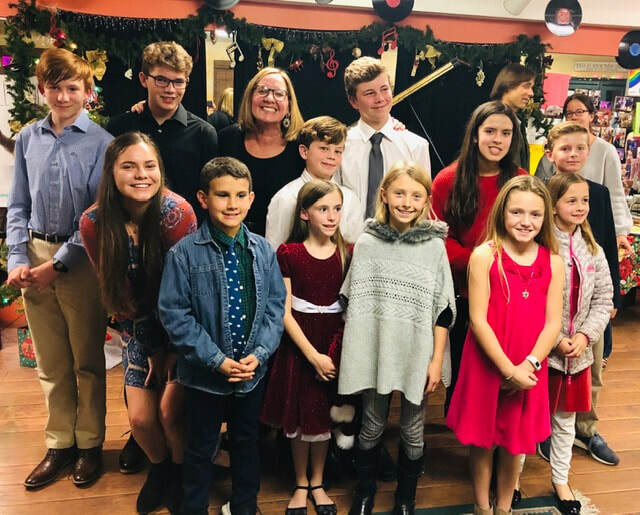 During the guitar recital on Sunday December 14 at Church of the Cross Road in addition to solo songs, students played several pieces with a guitar orchestra, Harp and flute. 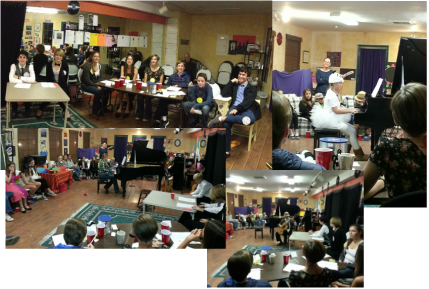 November 15th was Saturday night at the movies for twenty eight 5th, 6th and 7th grade pianists and guitarists from Song in My Heart Studio. Students gathered in costume to play movie theme songs ranging from Mary Poppins to The Lego Movie. Eight Teen judges prevailed over the event, led by Chief Justice, Steven Weitz. Students were judged according to ability level, and 1st place prizes went to: Guitar--Colin for Greensleeves from Pride & Prejudice; Piano Level 1--Abby for Do a Deer from The Sound of Music; Piano Level 2--Kayleigh for Spoonful of Sugar and Fly a Kite from Mary Poppins; Piano Level 3--Brit for He’s a Pirate from Pirates of the Caribbean. Best costume was awarded to Jack, who dressed as Gandalf and played In Dreams from The Lord of the Rings. The judges commented on each performance, giving encouraging and helpful critique. 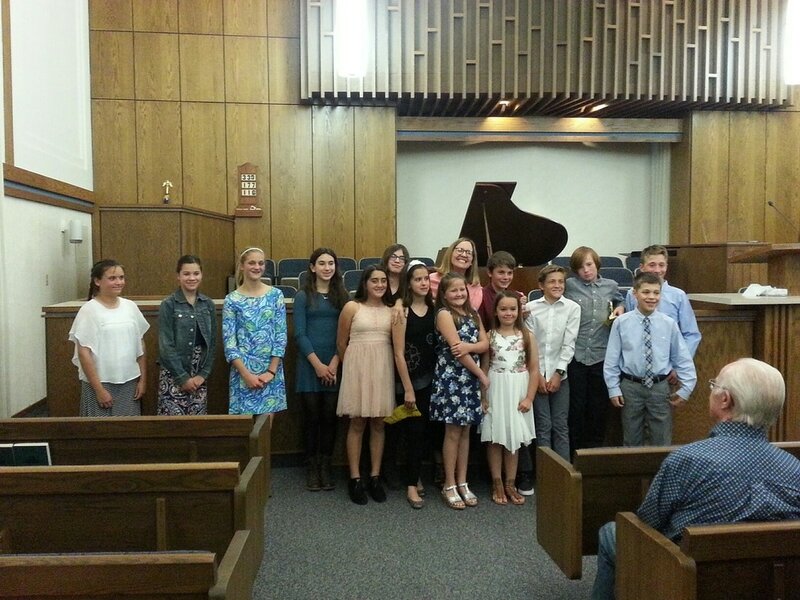 Congratulations to all the Teen Piano performers at the year end Teen Piano Recital. Great performances! 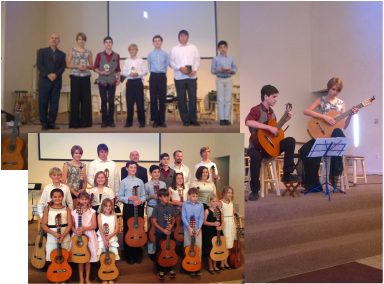 Congratulations to all SIMH guitar students for a fabulous performance on Sunday! 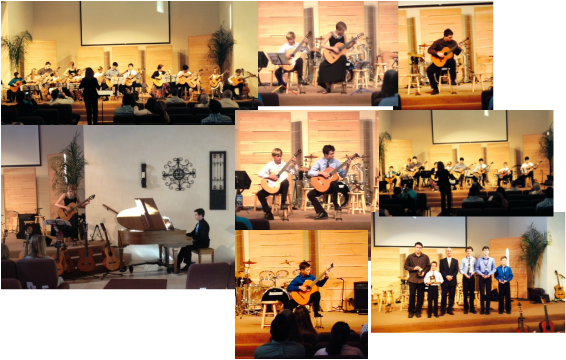 A big bravo to Phil and Tyler who braved the stage in La Guitarra International Guitar Festival this past weekend. Phil played for Berta Rojas and and Tyler played for Scott Tennant, world renowned artists, to an audience of 100+ guitar enthusiasts in Cal Poly Performing Arts Center. Also big kudos to the students and parents who attended the festival, observed master classes and went to the concerts. La Guitarra was a 3-day festival featuring 15 artists in 9 concerts, 5 Masterclasses, and a Vendor Fair with about 40 Luthiers (guitar makers) exhibiting their handmade instruments. Many world renowned artists from England, Russia, Spain, Paraguay, France, Brazil, Israel, Belgium, and America participated in this event. Watch the the video(below) of our talented Jazz improvisation class students, Luke & Robert at the recital at Saint Mark's Church on June 7th under the direction of Les Rose. They're playing Miles Davis' Freddie Freeloader. Mr.Rose, in the foreground, is up for the first Grammy offered to music educators. Celebrating summer in 5 Recitals! 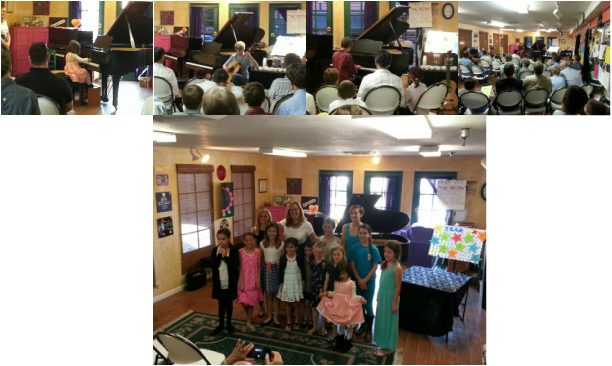 Students celebrated summer in grand style this past weekend with not just one, but five recitals! 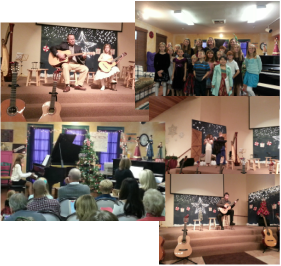 Students from ages 3 to adult performed music of all levels on the piano, classical guitar, electric guitar, flute and drums. 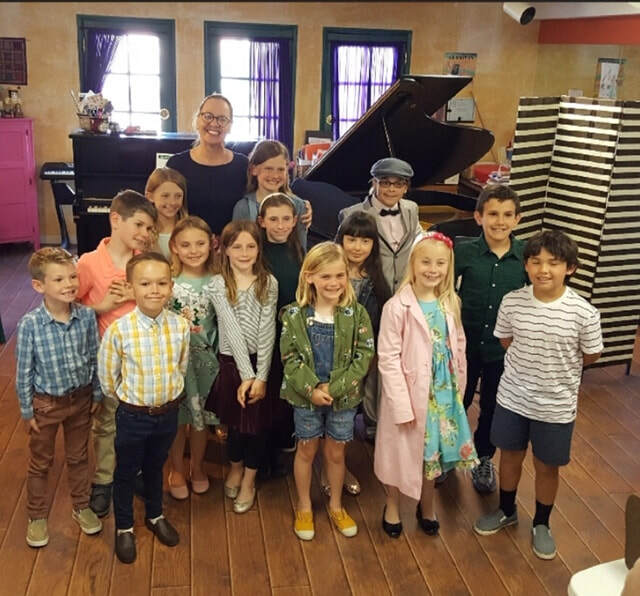 From a rock recital to a jazz-filled after party to classical serenades on a Steinway, this weekend showcased Song In My Heart Studio’s dedication to exploring several musical genres while remaining grounded in Classical technique. Ainsley, 3 years-old, was excited for her first recital, played Hot Cross Buns, Cody (9) demonstrated his Electric Drum skills, and Emily played flute beautifully among eighty piano and guitar students. The featured Jazz students, Luke (trumpet )and Robert (keyboard), during the middle grade recital, played Freddy Freeloader by Miles Davis, showcasing their Jazz improvisation skills. Congratulations to Emily Jensen who received the Annual Practice Achievement Award for practicing her guitar over 230 hours in the past year. 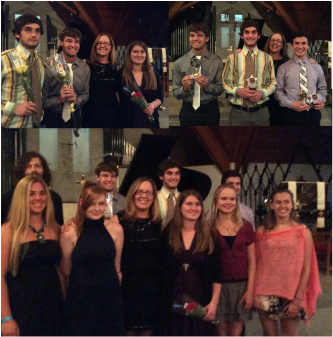 Two other guitar students and fifteen piano students also received medals for their achievements. simh students were fabulous at applause 2013 showcase! Congratulations to the SIMH students who played at the Applause Showcase 2013. 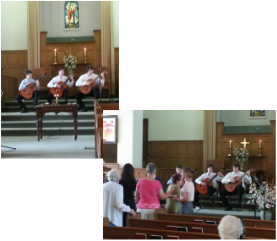 The program started with the SIMH guitar ensemble (Reidar, Emily, Josiah, Quinby and Collin). 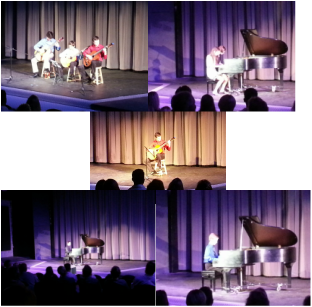 Our piano soloists Steven, Eric, Jordan, & Wyatt demonstrated how powerfully and beautifully a piano can be played.Guitar soloists--Josiah, Carson & Emily shared graceful classical guitar works with an appreciative audience. We are also very proud of Alexander Jackson for his piano/vocal performance....beautiful balance between voice and instrument, so challenging to pull off! The event was on Saturday night, May 4th, at The Little Theater at SYV High School. For passing the Level 6 Certificate of Merit exams at UCSB last month....he scored in the EXCELLENT range on his 4 repertoire pieces, passed the theory, technique and sight-reading exams and got 100% on the ear training exam. Go Steven! Los Angeles, LMU 2013, a fabulous performance! On Saturday, March 23, five of our young guitar students, performed at the Loyola Marymount University’s 9th annual Young Artist Showcase Guitar Festival. The ensemble members were Emily Jensen, Reidar Wordal, Josiah Frias, Colin and Quinby Janes. This festival was attended by about 200 students of various schools and studios as far away as Las Vegas. The ensemble performed Waltz by Bartolomé Calatayud(1882-1973), arranged by Phill Conrad, Yasna by Gerard Montreuil and La Gitanita by Jurg Hochweber, arranged by Vahid Imani. Thanks to the hard work and dedication of the students and their parents, the ensemble performed with beauty and grace in front of an audience of over 200. 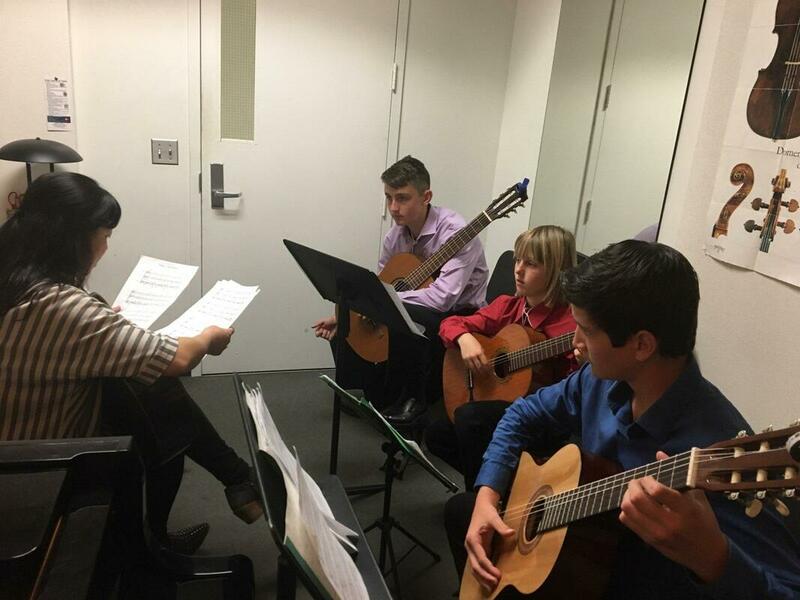 Afterwards, as part of the program, the ensemble received a coaching session from José Antonio Escobar, classical guitar soloists and performer artist and attended a concert by Francisco Bernier. 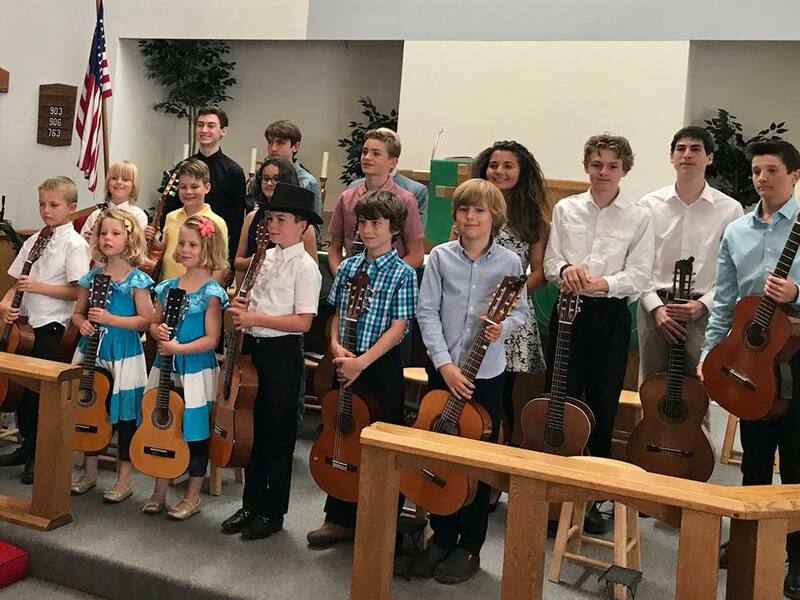 Sunday Jun 10th, our guitar students and one of our flute students performed solo and ensemble pieces for the audience of over 100 at the SYV Presbyterian Church. Every student played in one or multiple ensemble groups, as well as individual solo performance.